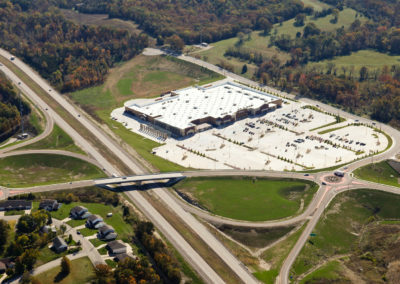 Looking for new ways to save on transportation infrastructure, the Indiana Department of Transportation (INDOT) turned to Crawford, Murphy & Tilly (CMT) to demonstrate a combination of Practical Design and Value Engineering approaches on one of its largest projects, the I-69 extension. This effort was influential in developing a more formalized statewide approach referred today as “Open Roads,” a program which seeks to benefit Indiana’s transportation infrastructure by tailoring construction projects and building methods to deliver specific results. Initially, CMT was chosen by INDOT to facilitate its first Practical Design Workshop (PDW) applying it on Sections 2 and 3 of the I-69 extension, which are on 55 new miles of alignment. This three-day, 35-person Practical Design/Value Engineering (PD/VE) workshop consisted of convening a variety of engineers, construction personnel and contracting specialists whose goal was to find efficiencies in the INDOT delivery method which could be used to meet the Governor’s aggressive proposed schedule. Due to these workshops, INDOT received 100% of the cost savings generated, rather than having to split it with contractors. The results of this project included the identification of 127 creative ideas, which resulted in 30 Practical Design/Value Engineering proposals and 14 additional Practical Design suggestions. This resulted in a $168 million cost savings (28.4% of original baseline cost estimate) for the project. 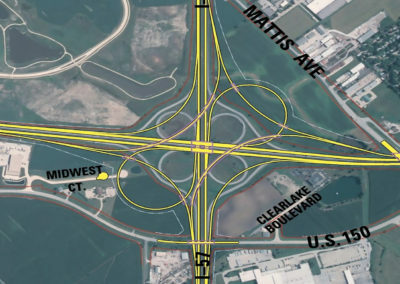 Due largely to the success of the Practical Design Workshop, CMT was subsequently asked to perform a Value Engineering (VE) Workshop for the I-69 Section 4 project. 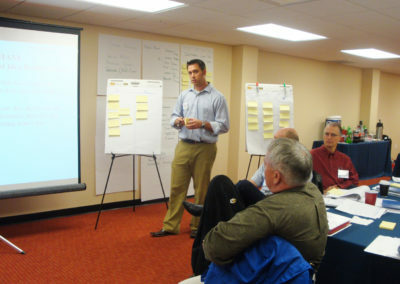 While the methodology of the session mimicked the original workshop, the results were slightly different: 203 creative ideas generated 19 Value Engineering proposals and 13 Value Engineering design suggestions generating over $57.7 million in savings; which amounts to approximately 15% of the original baseline cost estimate.